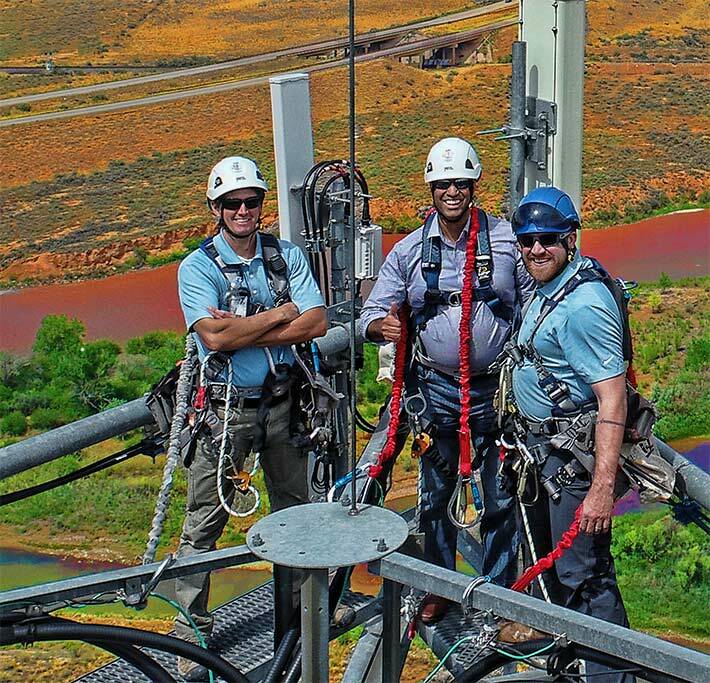 Pictured just before FCC Chairman Ajit Pai’s climb are: (L to R) Mark Judson (SBA Communications); Dan Hancock (EasTex Tower, LLC); Jim Miller (EasTex Tower, LLC); Pai; Justin Miller (EasTex Tower, LLC) and David Sams (SBA Communications). 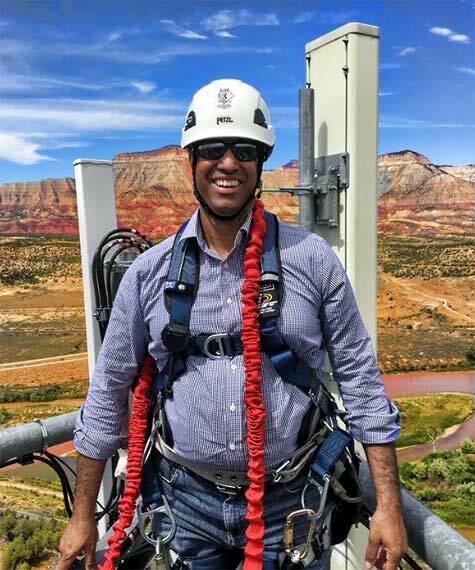 Federal Communications Commission Chairman Ajit Pai today experienced climbing a communications tower during a site visit near De Beque, Colo. The tour was facilitated by representatives from the National Association of Tower Erectors (NATE), SBA Communications and EasTex Tower, LLC. The visit was a part of Chairman Pai’s road trip across Arizona, New Mexico, Utah and Colorado to highlight how closing the digital divide can create jobs and increase digital opportunity. Chairman Ajit Pai, at top, was able to appreciate – although on a small scale – the exacting disciplines and the physical attributes that are required of a tower technician to ensure that 5G is successfully built out in America. NATE was able to snag the Chairman in advance of a commitment he made to Congressman Pete Olson during an FCC House oversight hearing on July 25 that he would climb a tower in Houston as FCC Commissioner Brendan Carr had done recently in South Dakota. 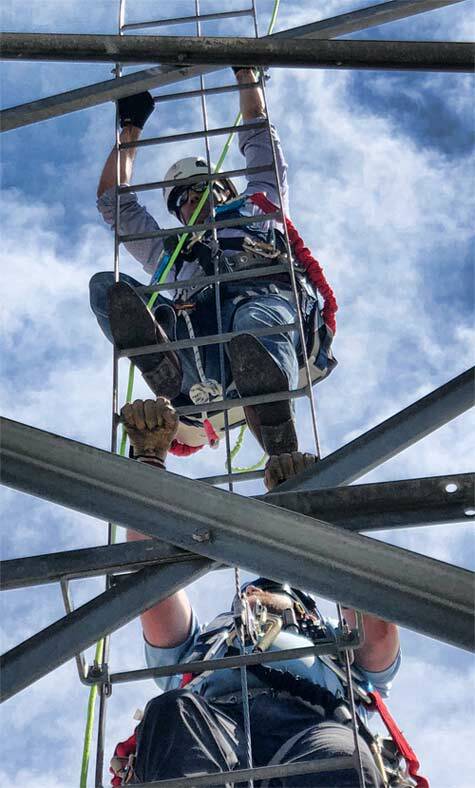 He had jokingly said that he might climb a 10-foot DAS structure, but accepted the challenge today of climbing 130 feet to the top of the Colorado cell tower. 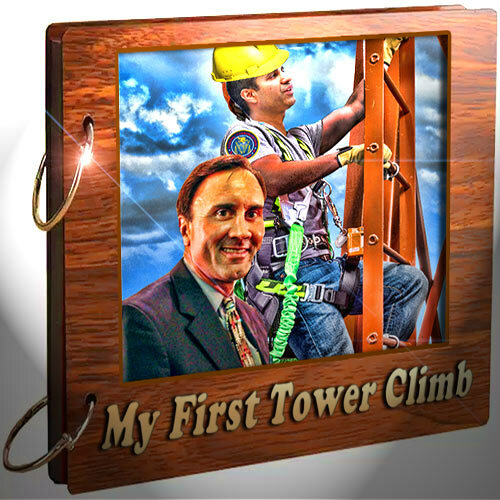 The highlight of the day was providing Chairman Pai with the unique opportunity to be fitted with the appropriate fall protection equipment and experience a short tower climb under the watchful guidance of EasTex Tower, LLC’s safety personnel and tower technicians. On July 25, FCC Chairman Ajit Pai took Congressman Pete Wilson up on his suggestion that he should climb a tower since FCC Commissioner Brendan Carr has. Wilson then said that he would also join him in putting boots on the steel. However, Pai accepted an advance invitation by the National Association of Tower Erectors to climb in Colorado. The NATE STAR Initiative Program was a focal point of the tower-site visit. If you’re the Chairman of the FCC, you’re expected to climb higher than your Commissioners, and Ajit Pai did, climbing over 130 feet in Colorado. Additionally, the FCC Chairman learned about the benefits associated with the NATE STAR Initiative program from participating company EasTex Tower, LLC. Since the program’s inception, the STAR Initiative site safety audits and program documentation requirements have served to allow participants to proactively identify and correct hundreds of job site hazards and deficiencies. These results have allowed NATE to extrapolate valuable benchmarks and tangible data from the program, while demonstrating compelling evidence that STAR member companies are leading the charge in terms of making our industry safer. 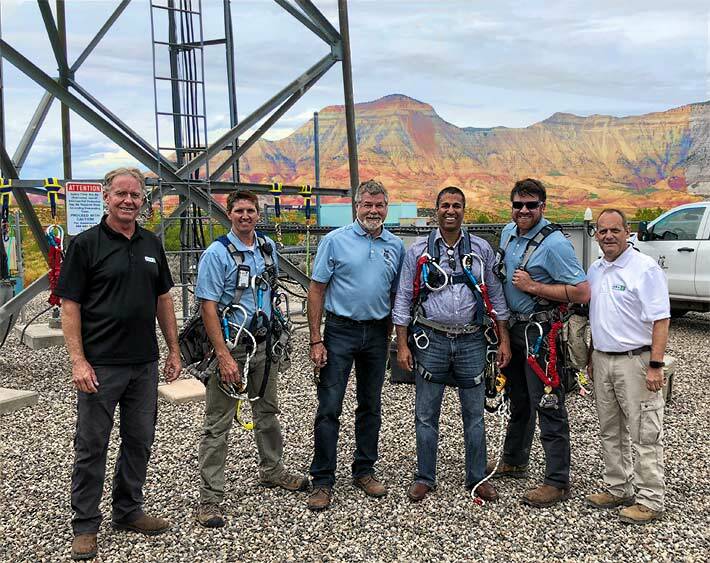 “I applaud Chairman Pai’s initiative to get out in the field in order to experience first-hand the safe work practices, diverse skill sets, knowledge base and work-ethic that are required of today’s tower technicians to conduct safe and successful wireless deployments,” stated Jim Miller, President and CEO of EasTex Tower, LLC and Vice Chairman of the NATE Board of Directors. 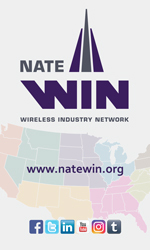 “NATE and our member companies are grateful for Chairman Pai’s leadership at the FCC on issues such as spectrum policy, streamlining wireless infrastructure deployments, expanding rural and tribal broadband opportunities and closing the digital divide, all of which are vital in positioning the United States to be the global leader in 5G,” Miller said. “It was an honor to have FCC Chairman Ajit Pai join us today at one of our company’s towers in Colorado,” said David Sams, Vice President of Risk Management at SBA Communications. “The Chairman’s site visit served to reinforce the prominent role communications tower owners, contractors and technicians continue to play in enabling connectivity to all sectors of our diverse economy,” added Sams, who also currently serves as the Chairman of the Telecommunications Industry Registered Apprenticeship Program (TIRAP).